A magnetic brake caliper disengaged from one of the fins on Millennium Force. 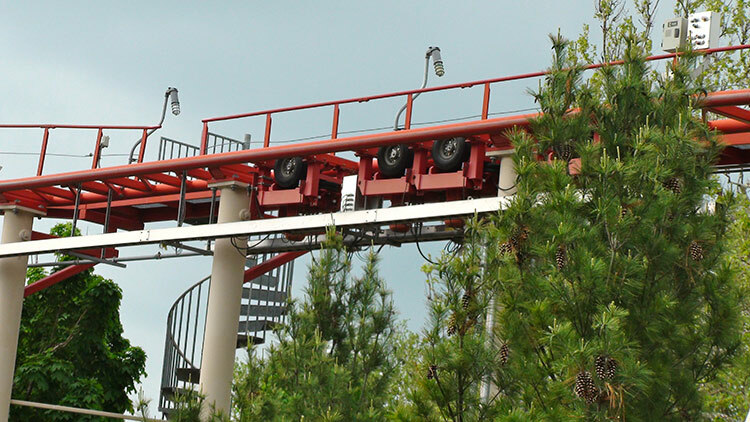 One of the changes in the conversion to Rougarou was the addition of magnetic brake fins to the train for the initial approach to the first safety brake. Each car on Wicked Twister has three fins. 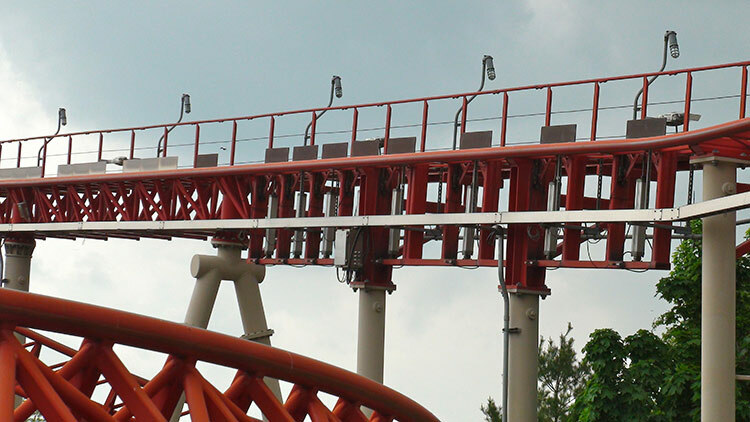 The center copper fin is used only for propulsion; the outer aluminum fins are used for both propulsion and for braking. 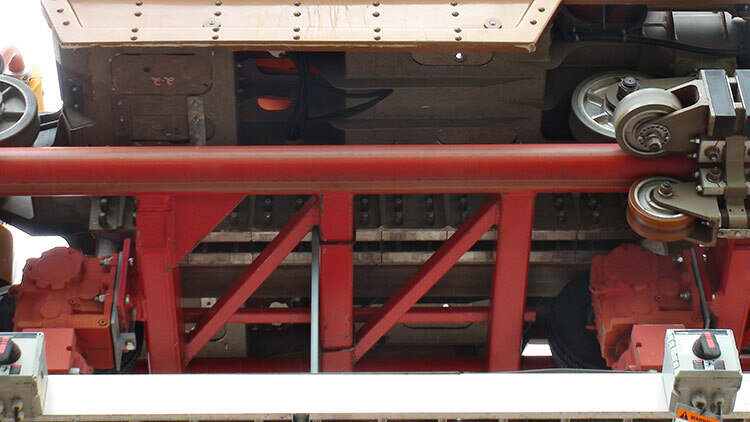 Here you can see the magnet assemblies bolted to the bottom of the Maverick car. 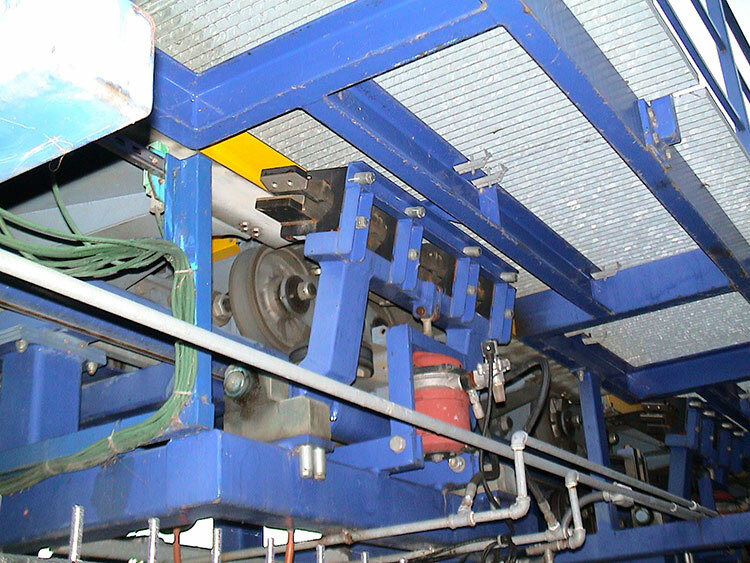 The flat plate on the far side is the friction surface for the advancing tires. 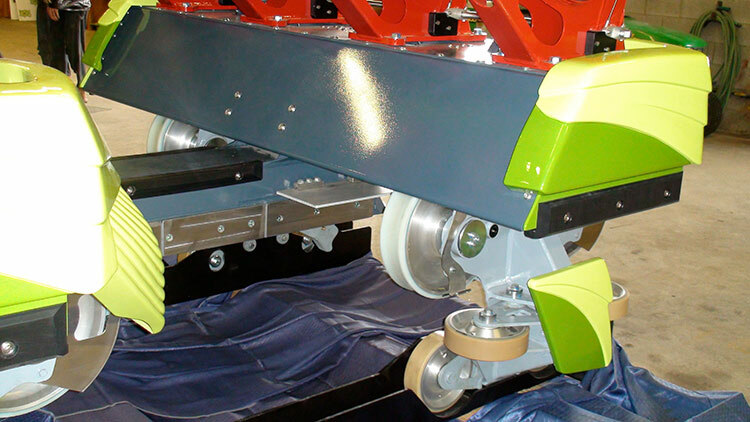 Maverick uses a combination of fixed and retractable brake fins to control the movement of trains. 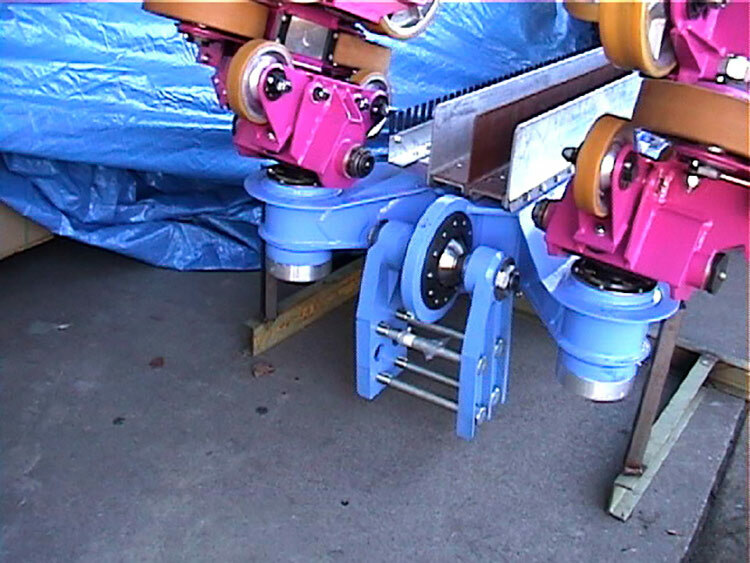 The advancing wheels on Maverick use gearboxes that allow for positive control over the wheels: the wheels will not turn unless the motor is turning. 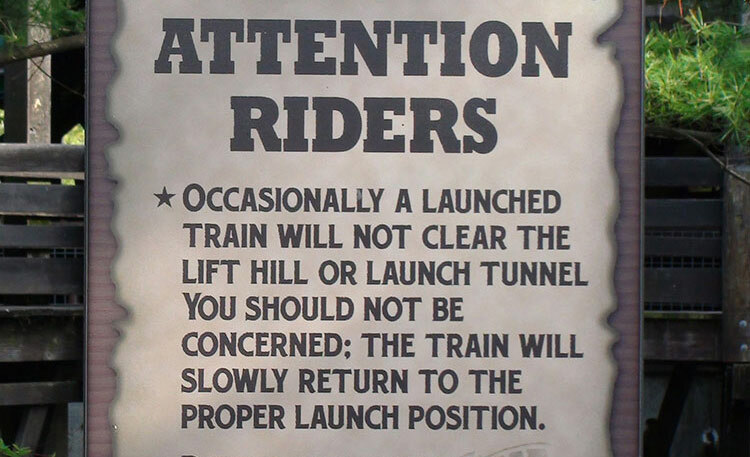 On Maverick the LSM coil packs are used as brake fins if the power fails or the launch has to be aborted.